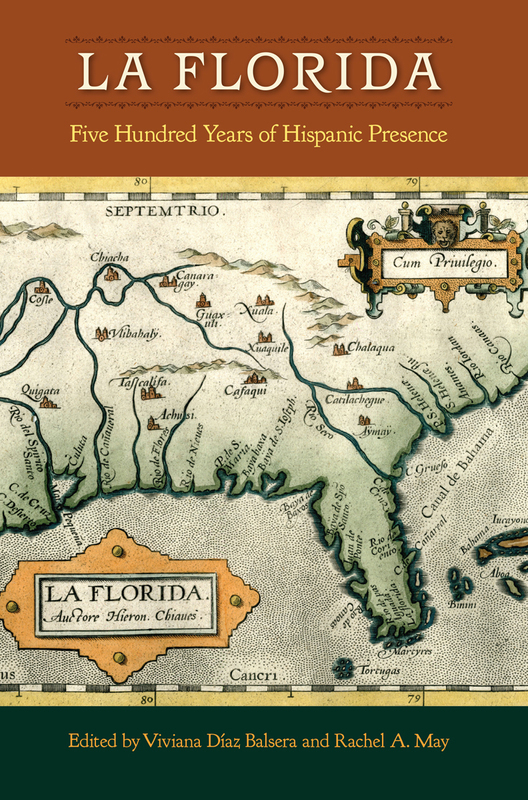 Commemorating Juan Ponce de León’s landfall on the Atlantic coast of Florida, this ambitious volume explores five centuries of Hispanic presence in the New World peninsula, reflecting on the breadth and depth of encounters between the different lands and cultures. Beginning with an examination of the first and second Spanish periods, leading experts in a range of fields discuss a time when La Florida was an elusive possession never completely secured by the Spaniards whose influence would nonetheless leave an indelible mark on the land. The second half of this volume highlights the Hispanic cultural legacy, politics, and current history of Florida, expanding on the state’s role as a modern transatlantic railroad. Melding history, literature, anthropology, music, culture, and sociology, La Florida is a unique presentation of the Hispanic roots that run deep in Florida’s past and present and will assuredly shape its future. Viviana Díaz Balsera, professor of Spanish at the University of Miami, is the author of The Pyramid under the Cross and Calderón y las quimeras de la Culpa. Rachel A. May, professor of Latin American and Caribbean studies and director of the Institute for the Study of Latin America and the Caribbean at the University of South Florida, is the author of Terror in the Countryside. Holidays are Here Again, So Give the Gift of Books to Them!